Syntec Synsations Beta Alanine is a food type dietary supplement designed around the natural occurring amino acid Alanine which has been further modified to suit specific requirements of the serious sports person to aid them in achieving specific nutritional and performance goals beyond the provision of a simple nutritive requirement. 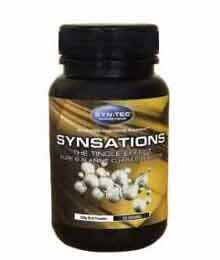 Syntec Synsations contains pure Beta Alanine with no fillers or additives. A prickly or flushing sensation maybe felt while taking pure Beta Alanine. 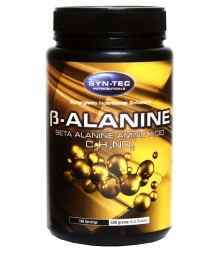 This is normal due to the increase in blood circulation due to the effect of Beta Alanine on the body. Beta Alanine may help support extreme muscle nutrition when combined with a physical training and exercise program designed to enhance extreme strength and muscle synthesis via nutritional channels by supporting the production of carnosine which plays a role in preventing advanced glycation end (AGE) products from contributing to a catabolic effect on muscles. Beta Alanine is not a sole source of nutrition and should be consumed in conjunction with a nutritious diet and appropriate fluid intake. Consult a health care professional for advice before starting in any new supplementation, training or exercise program Serving Suggestion: 3 -5 gm serve stacked with other amino acid, protein and sports drinks or consume on its own with water or juice. It’s ideal to take prior to a training session due to its natural effect of warming the body due to its flushing sensation and post training to support replenishment of Carnosine levels.